I am having so much fun with Jenni's latest digital release. 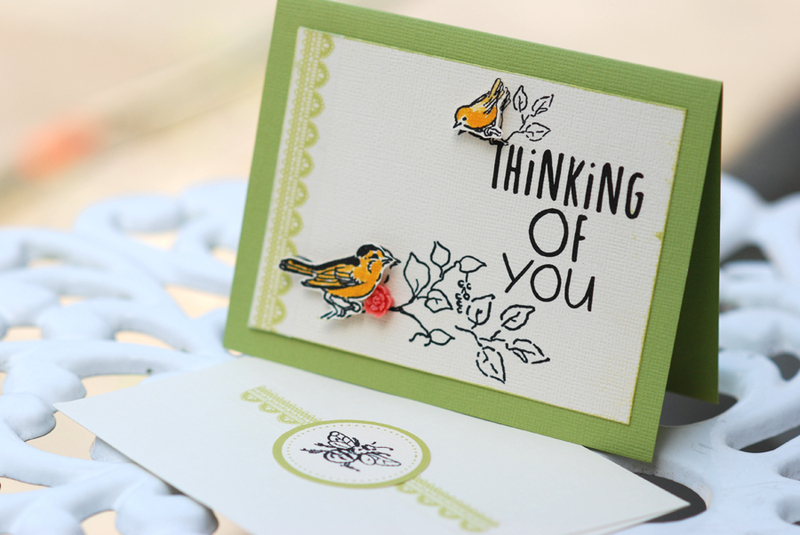 Bird & Branch is quite easy to customize and play with to make your own projects that resemble vintage nature art. The images are quite adaptable to hybrid projects like this card. I reprinted 2 birds, colored them simply with watercolor, and popped them off the page and added a small embellishment. 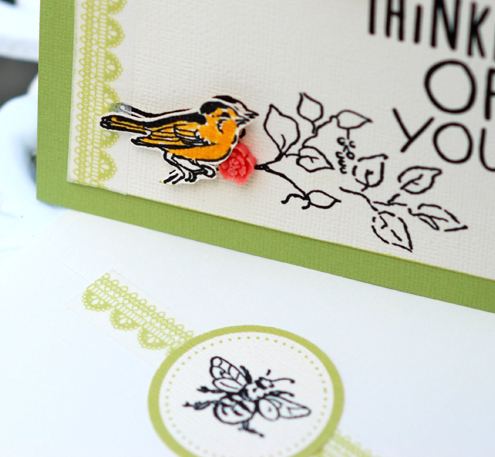 Grab Bird & Branch now while it's 25% off until midnight tonight PT!